And, to a great extent, this is true—especially when it comes to food, for example. Were it not for consumer demand for unadulterated, whole, organic food, the Slow Food movement would not exist, and farmers who raise organic produce, pasture-raised meat and eggs, and whole, raw dairy would still be very few and very far between. The market for organic and pasture-raised food grows exponentially every year, which means that more and more land is being tended sustainably and contributing to carbon sequestration and clean air and water. And it means more small farmers are making a decent living than ever before. All of this goodness has been almost entirely driven by shoppers. But, while I realize that my dollar has a lot of power, not for one minute do I think that the way I shop can really create the kind of systemic change the world needs. Case in point: Although the Real Food movement has tremendous traction, corporate-friendly regulators in our state and federal agencies still see fit to regularly raid and criminally charge small farmers who are providing raw milk, heritage pork, and other traditional healthy, whole foods—even when there has been NO incidence of illness or harm. Similarly, despite the fact that more small farmers and homesteaders than ever before are taking up the plow, farm policy and farm subsidies still overwhelmingly support Big Ag and industrial-scale farming. Would you rather be treated like an American Consumer or like an American Citizen? Genetically engineered crops (GMOs) continue to receive fast-track approval, and the pollen from new, experimental crops like GMO alfalfa, GMO sugar beets and GMO sweet corn threatens to permanently contaminate the genetic purity of our organic seedstock, which stands to drive many of these new organic farmers and ranchers out of business. Boycotting Monsanto or buying only organic and local food will not even touch these problems. Nor can shopping do anything about the massive bee die off going on that threatens our very ability to produce food at all. And shopping can’t really make a dent in air or water pollution from industry, mercury pollution from coal plants, fracking pollution, depletion of fresh water, or deforestation, among other pressing problems we face. In fact, to help solve these problems, we need to shop less, not more. 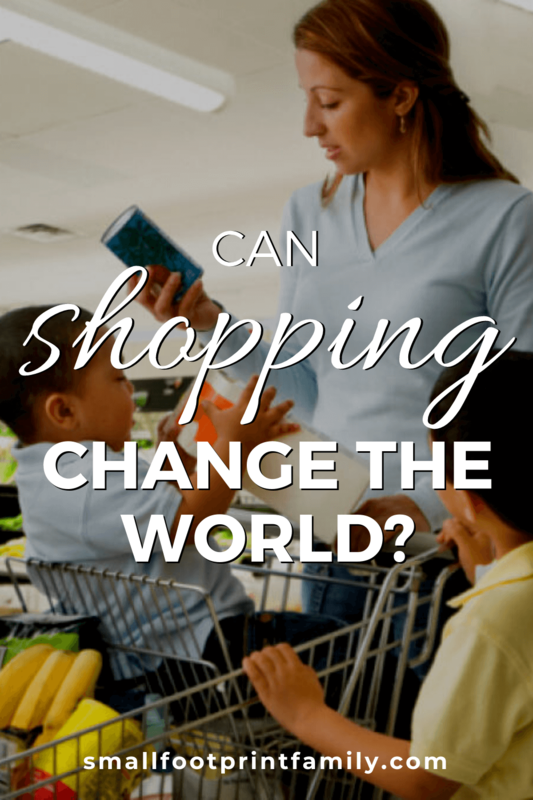 So, Can Shopping Change the World? As Annie Leonard explains in her animated video, The Story of Change (above), socially and environmentally responsible shopping is a great place to start—but a lousy place to end. To create the sustainable, peaceful, healthy world we want, we need to do much more than shop. Shopping might be enjoyable, easy and necessary, but I would argue that being an informed and active citizen is much more fulfilling—and these days, desperately necessary. I mean, would you rather be treated like an American Consumer or like an American Citizen? Leonard says we’re missing the participation and action. Why should you have to choose between your values and, say, having a phone? Or between spending your precious dollars on expensive, nutritious, organic food vs. cheap, federally subsidized, factory-processed junk? This summer there are citizen protests and civic actions organized for everything from labeling GMOs, to stopping the DAPL pipeline, to ending mountaintop removal mining, and more. The causes, policies and laws that matter to you need all kinds of help. Whether you volunteer your time, participate in a protest, or speak your mind to your government, there is a way for all American citizens to make a difference in creating a sustainable, healthy future for generations to come. What are you going to do this year that will make our country a healthier, more sustainable place? Shopping is changing the world. Every time someone buys a new home, or a new automobile, or a gallon of gasoline, a new bicycle, a new smartphone, a new flat screen television, a computer, an air conditioner, a washing machine, a clothes drier, a kilowatt of electricity, a plastic bottle, an aluminum can, a new dress, a new pair of shoes, a movie ticket, an airline ticket, every time they shop at a new mall, or eat at a new restaurant, they change the world. And not in a good way. So, as someone who produces a substantial portion of the food that my family eats, I am often amazed by the idea that some Americans have about food. It seems there are some who are spreading the idea that eating locally produced organic food will cure all of the earth’s environmental problems. Sure, eating locally produced and organic food is great, but you can eat all the local organic food that you want, and it is not going to change the fact that human beings are burning through the earth’s resources (resources like timber, and oil, and coal, and natural gas, and steel, and aluminum, and copper) at a rate that is destructive to animal habitat and the environment that we rely on for survival. The people who are trying to tell everyone that the food they eat is somehow responsible for the earth’s environmental problems, they are diverting attention away from the industries and products and people that are doing the most environmental damage. Here is how agriculture is responsible for damage to the environment. Right now 2% of the human population (this would be the farmers) can grow enough food for the entire 100% of the human population. This leaves 98% of the population free to explore for oil, or to harvest timber, or to manufacture steel, or automobiles, or airplanes, to build new homes and shopping malls and restaurants and entertainment venues and roads and bridges and skyscrapers. Current agricultural practices allow 98% of the population to be free from producing their own food, so they are free to do things that are really destructive to the environment. So, since modern civilization is unwilling to adopt the lifestyle of Native Americans, who survived by hunting for their own beef and growing their own corn (without mobile phones, automobiles, coal, oil, or natural gas), we all need to begin to understand what is truly responsible for our own current state of unsustainability, and we need to fix it. And for those who would like to see more locally produced organic foods, this is a good article to read: “What nobody told me about small farming: I can’t make a living”. This explains why there are not a lot of small local farmers producing food, it is not an easy job and it is not a financially rewarding job. Yay!! We need everyone to do what they can! Thank you for the thought provoking writing. Prior to beginning my journey to learn about the differences in foods I had no clue that farmers were even dealing with the hardships they face. I didn’t even know raw milk was illegal for purchase in my state. No one ever spoke to me about these things. Educating those of us that do not know is a very good place to start. Had I known years ago the things I am learning now I would have energy to crusade, to fight… Speak up when you know that others don’t know or you know something others may not. A lot of what I am learning is literally something I had never even contemplated. I am nearly 40 now and learning for the first time even how to start to properly feed my family. One of my children’s disorders caused me to look into treatment for her, which led me to researching foods, which led me to blogs like yours. Speak up and speak out. A lot of us do not mean to be so blind, we literally do not know. Thanks, Dawn! It is never too late to learn, grow and change. So many of us are just waking up and learning how messed up things have become. If it’s any encouragement, I’m older than you are, and I still have so much to learn! This is such a well-written post, and very, very thought provoking! We really do need to work together to make the world a better place. I found with my family in order to make change we had to learn to be smarter shoppers, by that I mean buying from local farms or buying foods in their raw state and preparing them at home, like yogurt. By making yogurt from raw milk, we support a small, local dairy farm, eliminate plastic, and eliminate any added ingredients. 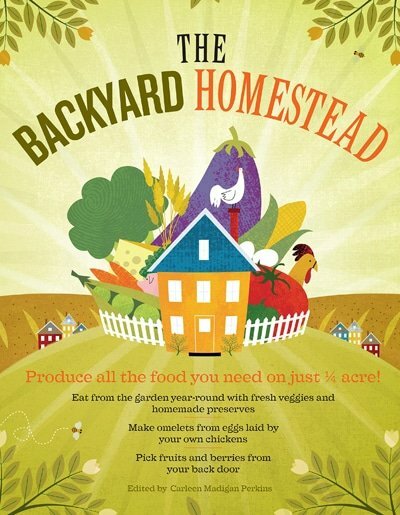 We also belong to a CSA, a sustainable fish share and support other local farms at the farmer’s markets. Well said! Thank you for sharing your heart and informing your readers to “take action!” Thank you for sharing with us at Healthy 2Day Wednesdays! Hope to see you again next week. So well put. Our individual choices matter, but they are not nearly enough. We must stick together, stick up for what’s right, organize, keep speaking out. Bravo for this!